Hearing impairment is a severe and prevalent handicap in our complex society. It can be the consequence of a broad range of environmental, medical, and hereditary factors. The etiology of profound sensorineural hearing impairment in children is genetic in a majority of the cases. Even when an environmental cause is indicated, predisposing genes are likely to play a significant role. About one out of 1,000 individuals shows hereditary sensorineural deafness. Fifty percent of congenital hearing impairment is genetic in nature, among which 70% is non-syndromic. About 65% of the non-syndromic congenital hearing loss is of autosomal recessive inheritance, wherein, both the parents are mere carriers of the defective gene of hearing loss, but do not exhibit hearing loss themselves. Thus, the mode of inheritance in most cases of congenital, non-syndromic sensorineural hearing loss is autosomal recessive. Several researches are being carried out to identify mutated genes that result in recessive hearing loss and thereby control its inheritance. A genetic analysis is the gold standard for identifying defective genes. However, with the advent of research in audiology and the developments in technology, there is a scope for identifying mutations through audiological testing. Several studies have suggested that family members who are carriers of genes for hearing loss may have subtle auditory anomalies, even though their auditory function is clinically normal. Many audiologists have attempted to apply auditory tests to identify carriers of hearing impairment. Studies in the late 1960s and 1970s reported a 'dip' in the audiometric contour by using continuous frequency Bekesy audiometry. However, the authors observed that although Bekesy audiometry was a poor method, it was better than none for identifying heterozygous carriers, as the reported 'dips' in the continuous frequency audiogram would be overlooked in the standard octave band audiometry. 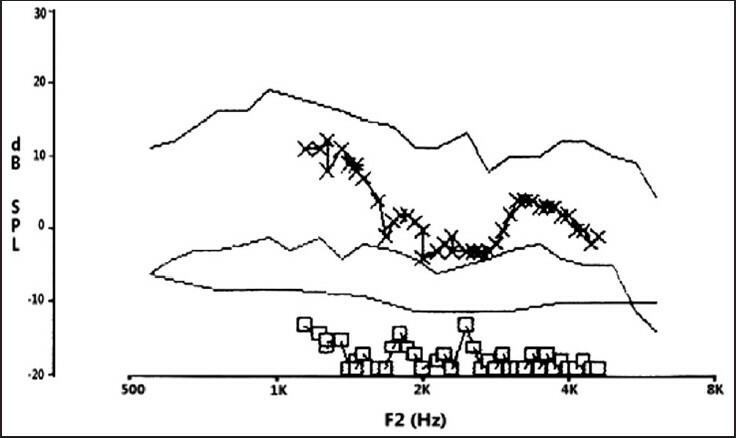 A similar microstructural audiometric analysis, using a computerized sweep frequency technique, showed notches in the 500 to 3,000 Hz frequency range in parents of children with Usher syndrome type II, who were obligate carriers. 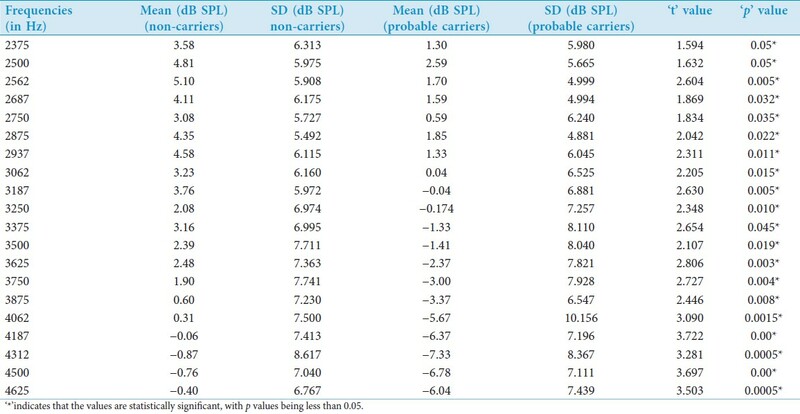 Notches of 15 dB or greater have been found within the frequency range of 500 to 3,000 Hz in 14.2% of the control participants and 55% of parents of children with non-syndromic recessive hearing loss, using an automated sweep frequency audiometer. This observation was made more frequently among mothers and sisters than among fathers and brothers of the patients. Some authors have found unexplainable slight losses, attributable neither to noise damage nor presbycusis, in three of twelve probable carriers of autosomal recessive deafness. Carrier individuals with GJB2 35delG mutations were examined, to test the possible presence and incidence of audiometric abnormalities in them. 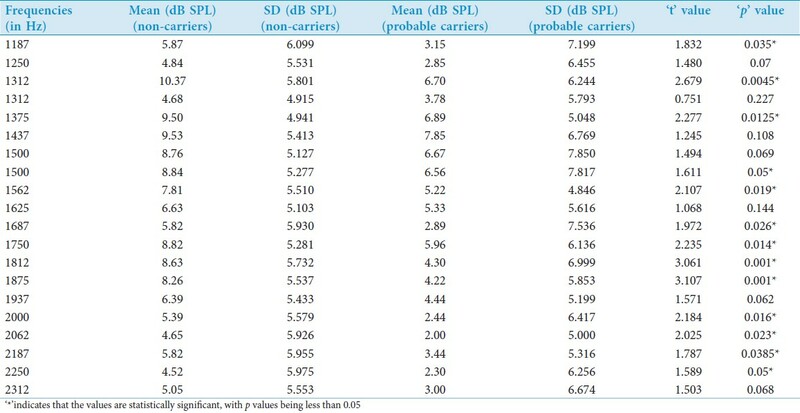 A tonal audiometric analysis showed the presence of thresholds within normal limits at all frequencies, while carriers of 35delG mutations presented with a decrease of hearing, principally at 6,000 and 8,000 Hz. Objective test results like reflexometry showed that obligate carriers of non-syndromic recessive hearing loss had a higher incidence of elevated stapedial reflexes than the controls. This could not be ascribed to exogenous causes such as noise exposure or other medical history. There have not been any studies reported so far in human carriers of hearing impairment, using Auditory Brainstem Responses (ABR). However, an animal study involving the identification of a deafness gene (at the dn locus), did report that ABR were normal in mice heterozygous for the gene. Nevertheless, it is also suggested that heterozygous jerker mice, with normal hearing, showed wide individual variations in ABR as they aged. Similarly, DPOAEs and suppression of Transient Evoked Otoacoustic Emissions (TEOAEs) were studied in carriers of recessive hearing loss from two populations: Families with Acadian Usher syndrome type I and Acadian families with non-syndromic hearing loss. It was observed that parents who were obligate carriers of the Acadian Usher syndrome type I gene showed DPOAE amplitude in the mid-frequency range when compared with a group of age- and gender-matched control subjects. Although this was a consistent observation in the Acadian Usher parents, emissions in parents of at least two children with non-syndromic recessive hearing loss have been less consistent, in that, some of these parents showed deceased mid-frequency amplitude in DPOAEs, whereas, others did not. On the other hand it was found that in both the groups of carriers, binaural noise did not enhance suppression of TEOAE to the degree observed in control subjects. 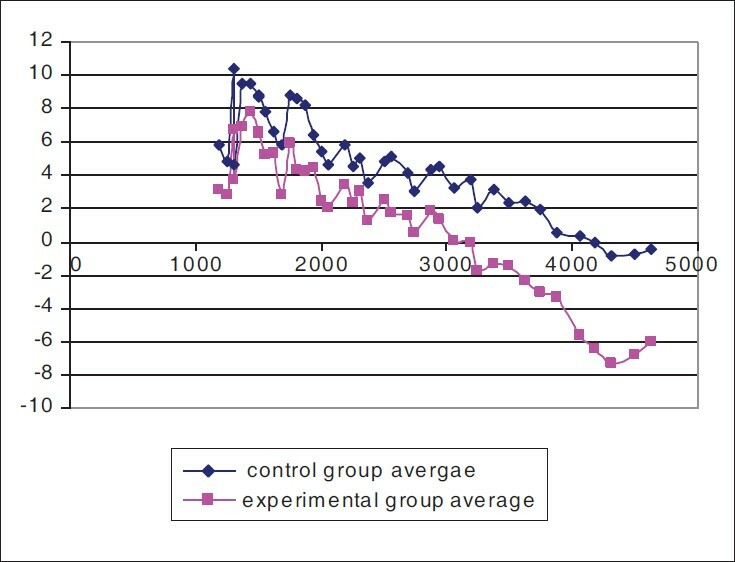 In the control subjects, suppression with a binaural suppressor noise was the greatest, followed by suppression with an ipsilateral noise, and least suppression was with a contralaterally presented noise. In contrast, the usual suppression pattern has not been observed in a number of Usher and non-syndromic recessive hearing loss parents, for either one or both ears. Another set of studies investigated Bekesy audiometry, short increment sensitivity index (SISI), tone decay tests, electrocochleography, middle ear muscle reflexes, and reflex decay in obligate carriers of recessive deafness. ,, In these studies no audiological measures were consistently abnormal in the obligate carriers. This failure to find reliable audiological abnormalities in normal hearing obligate carriers has been reiterated regularly in literature. , However, it is evident from the few contrasting studies that there seem to be subtle variations in the auditory mechanism of the carriers. Although, a variety of audiological (both behavioral and physiological) tests have been used to identify a pattern in carriers, otoacoustic emissions are the most sensitive, as they are associated with the integrity of the cochlear outer hair cells. Moreover, genetic implications in humans and in mice suggest that otoacoustic emissions are more sensitive to genetic differences than methods previously studied. , It is well-understood that fine structure DPOAEs give finer details of basilar membrane mechanics, and may thus, prove to be valuable tools in exposing the subtle variations. The amplitude of fine structure DPOAEs was compared between consanguineous parents with two or more congenitally hearing impaired children (probable carriers) and parents with normal hearing children (non-carriers). The amplitude of fine structure DPOAEs in 1-2 kHz was compared with that in 2-4 kHz in parents with normal hearing children (non-carriers). The participants of the study were normal hearing parents who were divided into two groups, Group A and Group B, based on the presence or absence of hearing impaired children. Group A consisted of 17 normal hearing parents (two males and 15 females), in the age range of 24-40 years, who had at least two congenitally hearing impaired children born of a consanguineous marriage. The presence of a positive family history of hereditary hearing loss was also investigated. It was noted that not all parents in the group reported having a definite family history of hearing impairment, as it was difficult to track a pedigree greater than two generations. Significant complications in the perinatal, prenatal, and postnatal history was ruled out by administering a high risk register. If the above criteria were met, it was probable that these parents of congenitally hearing impaired siblings were carriers of hearing impairment. However, a genetic analysis to confirm the assumption could not be conducted due to limited time and expense. Group B consisted of 31 age-matched and gender-matched normal hearing parents as the control group, with normal hearing children from a non-consanguineous marriage, and no family history of hereditary hearing loss. In order to circumvent the confounding effects of age on the amplitude of DPOAE, the participants considered for the study were less than 40 years of age. All the participants underwent a detailed case history to pass the selection criteria and to rule out the presence of any clinical symptoms. Following the inclusion criteria mentioned, three out of 17 participants from Group A were rejected due to negative consanguinity and prenatal and perinatal complications. 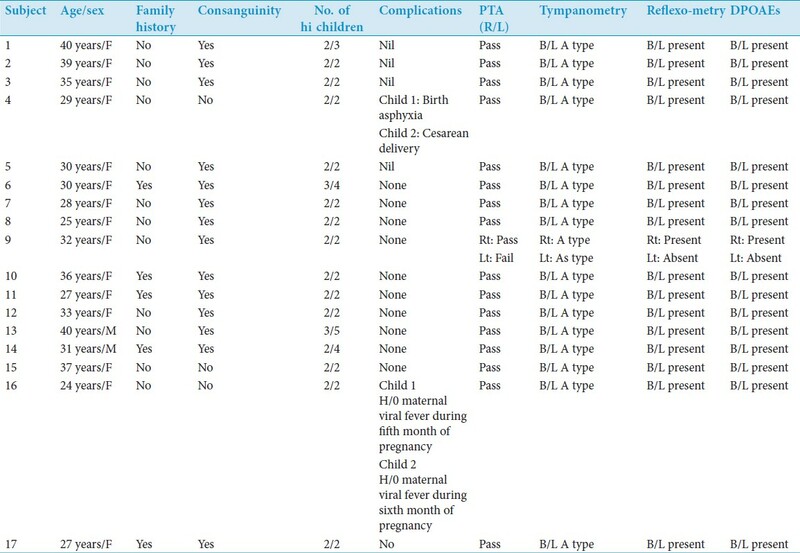 One out of the remaining 14 participants had no DPOAEs in one ear due to the presence of 'As' type tympanogram [Table 1]. Otoscopy was performed to examine gross eardrum abnormalities or presence of cerumen. Their hearing status was determined using puretone audiometry with a GSI 61 clinical audiometer. The participants with thresholds better than or equal to 15 dB HL (ANSI 1996) at octave frequencies between 250 Hz and 8,000 Hz and speech recognition scores of 100% in quiet were included for the study. Objective tests included tympanometry, reflexometry, and distortion product otoacoustic emissions, prior to measuring their fine structure DPOAE. Immittance audiometry using the GSI TympStar was administered. An 'A' type tympanogram with a peak pressure within +/-50 daPa and acoustic compliance between 0.3 ml and 1.6 ml, with a normal acoustic reflex threshold at 1 kHz of 0.3 ml amplitude of acoustic compliance, at a level of </= 90 dB SL, was the inclusion criteria. The presence of distortion product otoacoustic emissions, with an emission-to-noise ratio greater than 3 dB, at frequencies between 500 Hz and 8 kHz, was also checked using the GSI 60 analyzer. For obtaining fine structure DPOAEs, each participant was seated comfortably on a chair in a sound treated room. He/she was instructed to avoid excessive body movements, yawning, coughing, jaw clenching or head tilting, while being tested. The probe assembly was placed on the participant's shoulder with care. The correct size of the ear tip was selected and fitted to the probe. The probe was then securely inserted into the ear canal so as to obtain an air tight seal. A good probe fit was ensured by checking for the presence of DPOAEs at low frequencies with a fair amount of separation from the noise floor, meeting the Oz template condition. Repeatability was checked every time without altering the position of the probe. 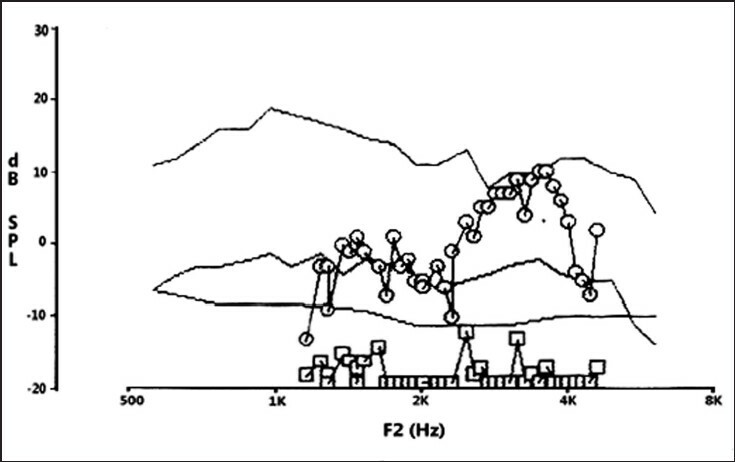 Fine structure DPOAEs were obtained between 1,000 Hz and 4,000 Hz with 20 increments per octave. The primaries f1 and f2 were presented simultaneously at intensity levels 65 dB and 55 dB, respectively, with an f1/f2 ratio of 1.2. A frequency range of 1-4 kHz has been selected for the present study, as there is evidence in the literature showing ­mid-frequencies being affected the most in carriers of recessive hearing loss. , It took approximately 20-25 minutes for each participant for eliciting fine structure DPOAEs in both ears, including the time taken for checking the repeatability. The data was subjected to statistical analysis using the SPSS software, to determine the means, standard deviation, and statistical significance. Comparisons were made using the 't' test and a p-value less than 0.05 was considered as significant. It is evident that the fine-structure DPOAEs show significant differences between the two groups at the 0.05 level of significance in both the octaves 1-2 kHz and 2-4 kHz [Table 2] and [Table 3]. The amplitudes in the non-carrier control group are higher than the amplitudes in the probable carriers [Figure 1]. Apparently, the frequencies from 2,375 Hz show a noteworthy reduction in the amplitude. This suggests that the outer hair cells in the probable carrier group show physiological differences when compared to those in the control group. These differences can be attributed to their genetic set up. It was found that at the 0.05 level of significance, there was a statistically significant difference between the two octaves 1-2 kHz and 2-4 kHz in non-carriers, with the p value being 0.00. 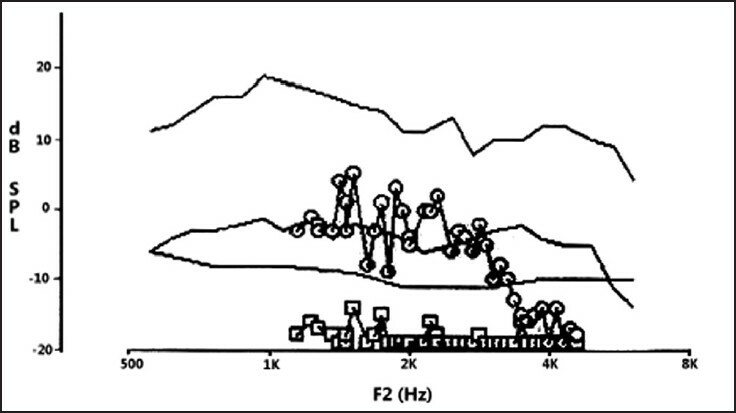 Reduced amplitudes were obtained in the higher octave 2-4 kHz when compared to the lower octave 1-2 kHz [Table 4]. It was found that at the 0.05 level of significance, there was a statistically significant difference between the two octaves 1-2 kHz and 2-4 kHz in the probable carriers, with the p-value being 0.011 [Table 5]. Reduced amplitudes were obtained in the higher octave, 2-4 kHz, when compared to the lower octave, 1-2 kHz. Greater reduction in amplitude was noted in the probable carriers than in the non-carriers in the 2-4 kHz region. This suggests that the fine structure DPOAE reflects a genetic trait specific to the parents with two or more congenitally hearing impaired children. As the previous studies had revealed no ear effect on the DPOAEs, the ears of an individual were not considered separately. Thus, the amplitude of fine structure DPOAEs obtained from 27 ears of probable carriers was compared with the normal control ears, which were 62 in number. The results showed that the overall amplitude was significantly reduced in the probable carrier group across the frequencies compared to the non-carrier group. There was a significant difference in fine structure DPOAE amplitude between 1-2 kHz and 2-4 kHz, in both non-carriers and probable carriers. The higher frequencies had a lower amplitude and the lower frequencies had a higher amplitude. In addition, the probable carrier group had a relatively significant reduction in amplitude in the higher octave than the lower octave, when compared to the control group. No studies have been reported on the fine structure DPOAEs in carriers to support this study. However, Hood et al. (1996)  observed that parents who were obligate carriers of the Acadian Usher syndrome type I gene consistently showed decreased distortion product otoacoustic emission (DPOAE) amplitude in the mid-frequency range, when compared with a group of age- and gender-matched control subjects. They also report a relatively less consistent decrease in mid-frequency amplitude in DPOAEs in parents with at least two children with non-syndromic recessive hearing loss, in that, some parents show reduction in emission, whereas, others do not. Differences between octaves is compatible with the study reported by He and Schmiedt (1997),  which reports the DPOAE amplitudes. The poorer amplitudes in high frequencies can be attributed to factors such as aging and sociacusis. No other previous studies comparing fine structure DPOAE amplitudes between octaves have been reported in the literature to support the current findings. 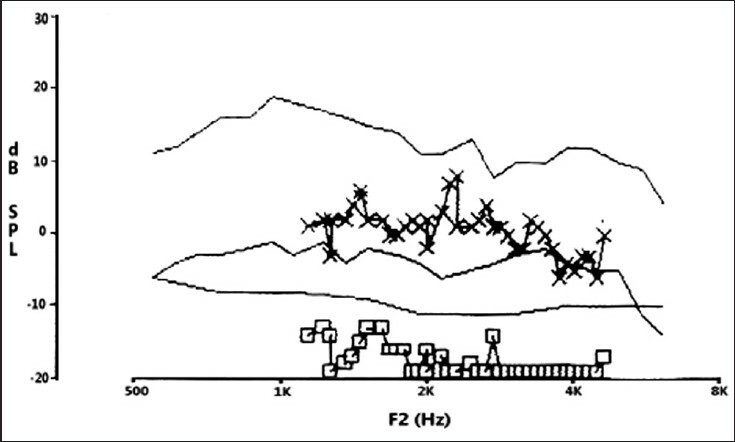 In the present study, emissions in 13 ears show a typical reduction in amplitude after 2 kHz, such that the fine structure slopes into the noise floor [Figure 2]. On the other hand nine ears exhibit a pattern with fine structure emissions well above the noise floor, with relatively reduced amplitudes toward the higher frequencies [Figure 3]. Three ears had an abnormal pattern as shown in [Figure 4], and one participant had a typical U-shaped pattern in both the ears as depicted in [Figure 5]. Thus, it is possible to study carriers even before the gene is identified and molecular testing of the carrier status is revealed. These findings suggest that OAEs provide an insight into the cochlear function in carriers of abnormal genes related to hereditary hearing loss and that the auditory function differs in carriers. It is interesting to note that in a majority of the cases, hearing impaired siblings are born to consanguineous parents. In the present study only three out of 17 parents got rejected due to non-consanguineous marriage and presence of peri- and prenatal complications. This information is of great significance to the audiologist, in that, if a case history reveals a consanguineous marriage, the parents can be made aware of the chances of them having a second hearing impaired child, thereby, allowing them to take adequate steps. In addition, they can be tested for the presence of fine variations in their outer hair cell activity. This may also help the audiologist to convey the information about the vulnerable nature of their outer hair cells, thereby, highlighting the need for auditory hygiene. Therefore, it is evident from the findings that the carriers of recessive hearing loss exhibit functional changes in the ear, in spite of having normal hearing sensitivity. This study adds on another clinical implication of DPOAEs and throws light on the scope of fine structure emissions to emerge as a very good diagnostic tool in the field of audiology. A major drawback of the study is that a genetic analysis was not done to confirm the participants in the experimental group as obligate carriers. This was not possible as it was a time consuming and expensive procedure. As most of the participants were females, intrinsic factors, such as the menstrual cycle, affecting the DPOAE amplitude, were not controlled. Another limitation was that an equal male - female ratio was not maintained. The author is deeply indebted to Dr. Rashmi Bhat for her patience and guidance throughout the study and extends gratitude to the patron-in-chief, Dr. S. R. Chandrasekhar, the Chairman Mr. M. S. Venkatesh, and Dr. Madhuri Gore, Principal, Dr. S. R. C. Institute of Speech and Hearing, Bangalore, for permitting the implementation of this study. The author genuinely thanks all the participants who selflessly gave their time and cooperation in the hope of a better future. The author also thanks Mrs. Padmaprabha, Principal of Sunaad School and Mrs. Usha Dwarakanath, Principal of R.V. Integrated School for providing the source of data collection; Mr. Mihir Dash for helping with the statistical analysis; and Mr. Jayaram and Mr. Abin for their invaluable assistance in overcoming the technical difficulties. 1. Anderson H, Wedenberg E. Cited in, The role of otoacoustic emissions in identifying carriers of hereditary hearing loss. In: Hood LJ, Berlin CI, editors. In Otoacoustic emissions, basic science and clinical applications. San Diego: Singular Publishing Group; 1968,1976. p. 137-48. 2. Meredith R, Stephens D, Sirimanna T, Meyer-Bisch C, Reardon W. Cited in, The role of otoacoustic emissions in identifying carriers of hereditary hearing loss. In: Hood LJ, Berlin CI, editors. In Otoacoustic emissions, basic science and clinical applications. San Diego: Singular Publishing Group; 1992. p. 137-48. 3. Stephens D, Meredith R, Sririmanna T, France L, Almqvist C, Haugen H. Cited in, The role of otoacoustic emissions in identifying carriers of hereditary hearing loss. In: Hood LJ, Berlin CI, editors. In otoacoustic emissions, basic science and clinical applications. San Diego: Singular Publishing Group; 1995. p. 137-48. 4. Marres HA, Cremers CW. Cited in, The role of otoacoustic emissions in identifying carriers of hereditary hearing loss. In: Hood LJ, Berlin CI, editors. In otoacoustic emissions, basic science and clinical applications. San Diego: Singular Publishing Group; 1989. p. 137-48. 5. Franze A, Caravelli A, Di Leva F, Marciano E, Auletta G, Aulos FD, et al. Audiometric Evaluation of Carriers of the Connexin 26 Mutation 35delG. Available from: http://www.springerlink.com/content/q472837537730j48/ [Last accessed on 2004]. 6. Deol MS, Kocher W. Cited in, Genetics and Hair cell Loss. In: Keats BJ, Nouri N, Huang J, Money M, Webster DB, Pelias MZ, et al, editors. In Hair cells and Hearing Aids. San Diego: Singular Publishing Group; 1958. p. 87-98. 7. Sjostrom B, Anniko M. Cited in, The role of otoacoustic emissions in identifying carriers of hereditary hearing loss. In: Hood LJ, Berlin CI, editors. In Otoacoustic Emissions, Basic Science and Clinical Applications. San Diego: Singular Publishing Group; 1990. p. 137-48. 8. Hood L. The role of otoacoustic emissions in identifying carriers of hereditary hearing loss. In: Berlin CI, editor. Otoacoustic emissions, basic science and clinical applications. San Diego: Singular Publishing Group; 1996. p. 137-48. 9. Eldridge R, Berlin CI, Money JW, McKusick VA. Cited in, The role of otoacoustic emissions in identifying carriers of hereditary hearing loss. In: Hood LJ, Berlin CI, editors. In Otoacoustic emissions, basic science and clinical applications. San Diego: Singular Publishing Group; 1968. p. 137-48. 10. Konigsmark BW, Mengel MC, Berlin CI. Cited in, The role of otoacoustic emissions in identifying carriers of hereditary hearing loss. In: Hood LJ, Berlin CI, editors. In Otoacoustic emissions, basic science and clinical applications. San Diego: Singular Publishing Group; 1968. p. 137-48. 11. Mengel MC, Konigsmark BW, Berlin CI, McKusick VA. Cited in, The role of otoacoustic emissions in identifying carriers of hereditary hearing loss. In: Hood LJ, Berlin CI, editors. In Otoacoustic emissions, basic science and clinical applications. San Diego: Singular Publishing Group; 1967. p. 137-48. 12. Jaber L, Shohat M, Bu X, Fischel-Ghodsian N, Yang HY, Wang SJ, et al. Cited in, The role of otoacoustic emissions in identifying carriers of hereditary hearing loss. Hood LJ, Berlin, editors. In Otoacoustic Emissions, Basic Science and Clinical Applications. San Diego: Singular Publishing Group; 1992. p. 137-48. 13. Liu X, Xu L. Cited in, The role of otoacoustic emissions in identifying carriers of hereditary hearing loss. In: Hood LJ, Berlin CI, editors. In Otoacoustic emissions, basic science and clinical applications. San Diego: Singular Publishing Group; 1994. p. 137-48. 14. Mc Fadden D, Loehlin JC. Cited in, The role of otoacoustic emissions in identifying carriers of hereditary hearing loss. In: Hood LJ, Berlin CI, editors. In Otoacoustic emissions, basic science and clinical applications. San Diego: Singular Publishing Group; 1995. p. 137-48. 15. He N, Schmiedt RA. The effect of primary levels on fine structure DPOAEs. J Acoust Soc Am 1997;101:3554-64.